Williams Lake sits at the junction of Highway 97 and Highway 20 and can be accessed from the north, south, east, and west of BC. We are located 905 kms (562 miles) west of Calgary via Banff National Park, 910 kms (565 miles) southwest of Edmonton via Jasper National Park, 445 kms (277 miles) northwest of the wineries of Kelowna, and 550 kms (342 miles) north of Vancouver via the historic Gold Rush Trail. Visit drivebc.ca/directions.html to plan your epic road trip. Referred to by some as a mini-cruise, the seasonal Port Hardy – Bella Coola 10-hour ferry service connects the coast and the interior (via Highway 20) in an exciting circle route adventure. 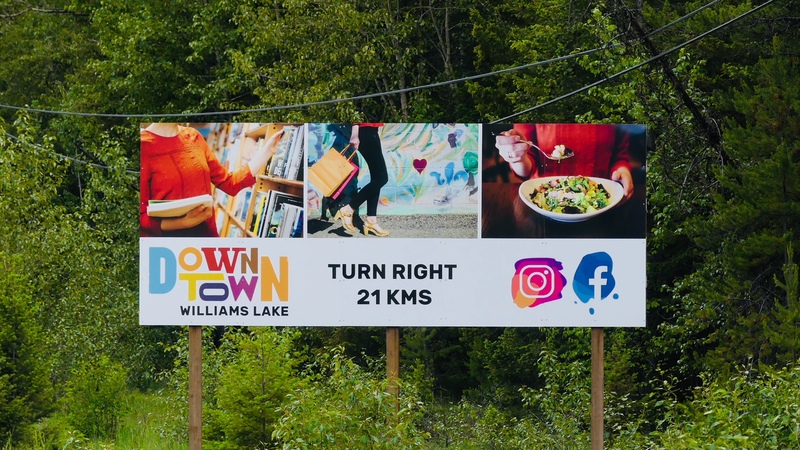 Whether travelling to or from the wilds of the Chilcotin, our restaurateurs, hoteliers, shop owners, and RV campgrounds are ready to make Downtown Williams Lake your favourite rest stop along the way. Visit bcferries.com/travelplanning to make your reservation. We have two very friendly regional carriers – Central Mountain Air (flycma.com) and Pacific Coastal Airlines (pacificcoastal.com) – that fly into Williams Lake from the South Terminal at Vancouver Airport.